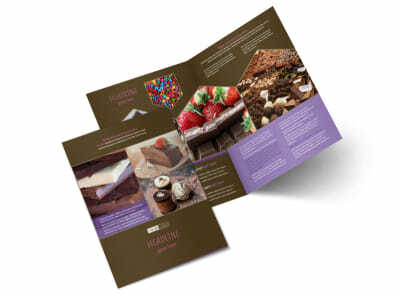 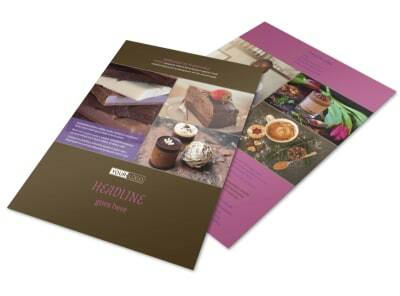 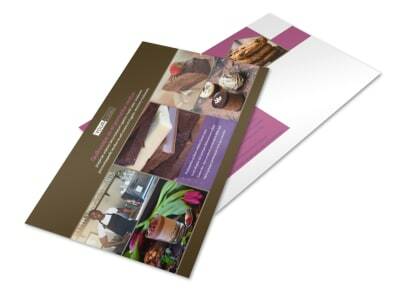 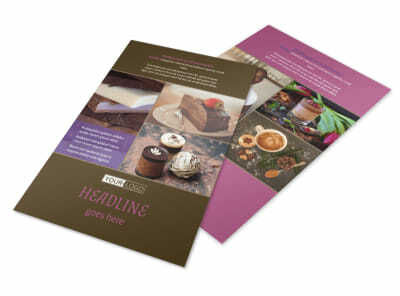 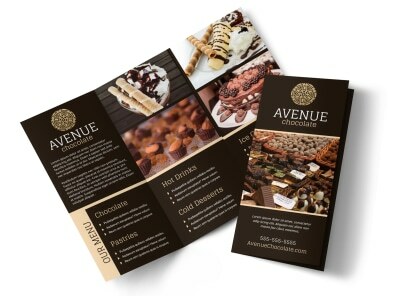 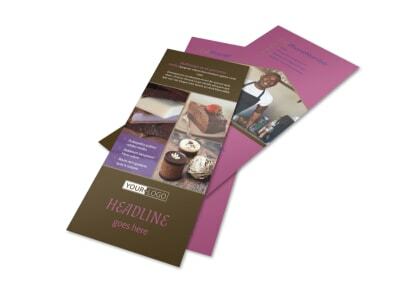 Customize our Chocolate Shop Postcard Template and more! 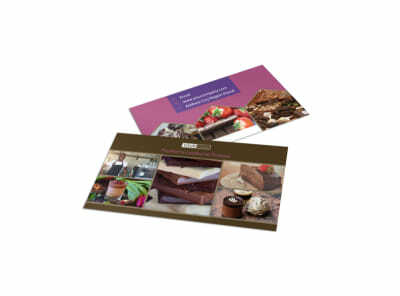 Make tastebuds wag with chocolate shop postcards detailing your sweet confections. 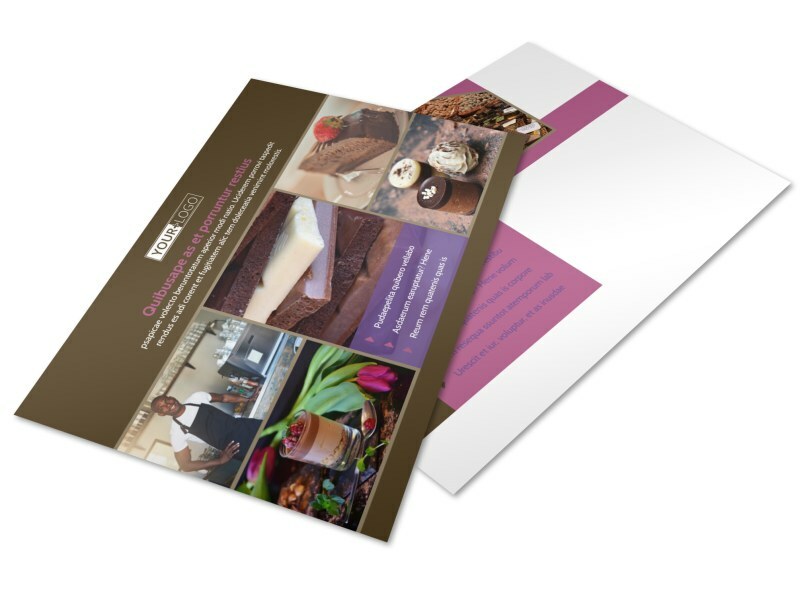 Hone your chosen template to perfection using text, photos, and more, and then add details of a special promotion, sale, or new product line. 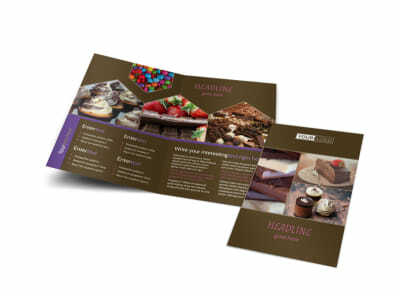 We offer printing services using quality materials, or you can print your postcards yourself for faster distribution.